On 2/7/14, following a recommendation from the Department of Communities and Local Government Select Committee (DCLG), a new website was launched with the intention of helping consumers find competent electricians. As there are several regulatory bodies, up until the launch of the website, the general public have had several different websites to visit in order to check if a south west London electrician or electrical company is registered to carry out domestic work. It features a brand new logo, intended as a mark of competence, that registered electricians can display on their vans and paperwork. The new logo is a combination of a symbol for a house combined with with a simple representation of a 3 pin household plug socket. This new competence mark and website has been carefully designed with consumer accessibility in mind. As well as general information, the website also features an an easy to use search facility which can accept either a postcode or electricians name. This will enable a consumer to quickly find a list of local electricians, whether they live in Croydon, Balham, Whyteleafe or wherever, allowing them to quickly check if the electrician they are thinking of hiring is registered and reputable. In short, for a householder, finding a registered, competent, electrician will be much easier than ever before. The official launch took place in the Palace of Westminster, where the Minister for Communities and Local Government, Stephen Williams MP, gave a speech to key industry stakeholders and fellow MPs, alongside him were NAPIT Group Chief Executive Officer, Michael Andrews and Chief Executive Officer of Certsure, Emma Clancy. Well said Mr Williams! This new website will help us electricians too. We are constantly up against cheap cowboys who carry out illegal installations, this new website will steer the public away from these people. South London Electricians are registered with the National Inspection Council for Electrical Installation Contracting (NICEIC). NICEIC registered electricians are regularly assessed and they can supply you with a certificate that shows that notifiable electrical work on your home conforms with legislation and is therefore safely carried out. 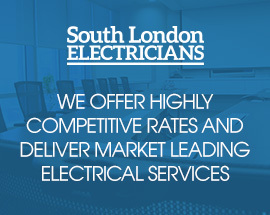 You can find us on the electrical competent persons website by entering our South Croydon business postcode – CR2 9DQ.